Supporting local isn’t just a policy I have when it comes to food. If you’re a regular reader of Foodie Underground, you’ll notice that the same cups and plates pop up fairly regularly. They’re made by an artist and close friend of mine, Laura Cooke. I don’t need to spell out the link between locally grown food and the artisan craft movement; ultimately it’s about supporting small scale business run by people who believe in what we do. 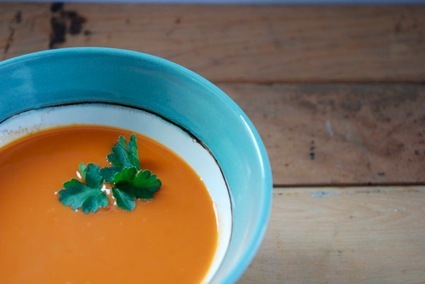 And because I serve up most of my own food on Laura Cooke Ceramics, and since Laura is an avid Foodie Underground supporter, I figured it was time for the rest of you to learn a little bit more about who she is, what she does and why we should support independent business, be it food or otherwise. 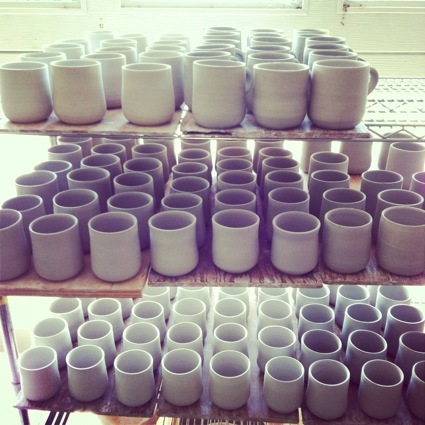 When did you start making ceramics? I took my first ceramics class while studying abroad in the hilltop town of Cortona, Italy. I continued throwing through college at Furman University in South Carolina, and then at a community art center in Jackson, Wyoming, after school. When I moved to Portland, Oregon, in 2009, I received my post-bac in ceramics at Oregon College of Art and Craft. 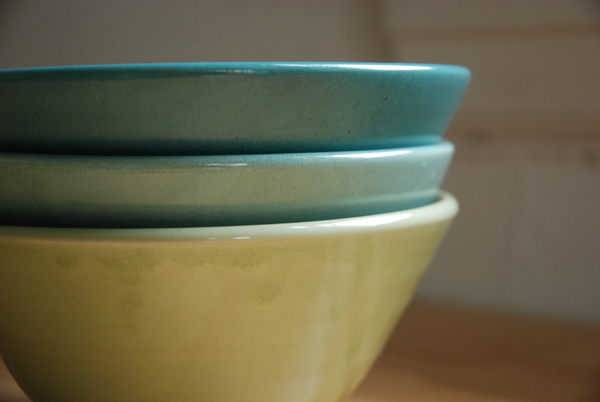 What is more important for you when you make pottery – function or aesthetic? For me, pottery is a blending of both function and aesthetic. While I am very attuned to form, color, and design in my work, I also pay attention to the way it feels to hold and how easy it is to use. 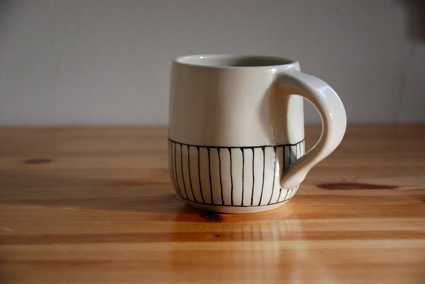 I want the handles of my mugs and pitchers to have a comfortable grip, for example, and I curve up the edges of my plates slightly so sauces don’t run off and peas don’t escape. 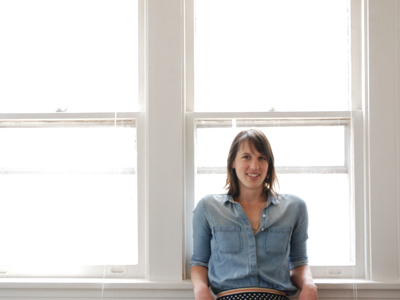 We talk a lot about “artisans” in the food movement. As an artisan yourself, do you think that the small-scale, local producer movement is really growing or is it just a trend? I do think the local, small-scale producer movement is growing. Whether people are buying dinner ingredients or dishware, I think they like the idea that a person in their community is behind their purchase, not a faceless corporation. The key to the movement’s continued growth, I think, is educating the public about the skill, time and intention artisans put into each of their pieces. Without an understanding and appreciation of the extra value, it’s hard for people to justify paying higher prices. Why should we support local? Supporting local both gives you a connection to your community and reduces the resources required to transport goods halfway around the world. Also, when people don’t know where their products come from, they are more likely to discard and replace them instead of fixing and reusing them. It’s wasteful. 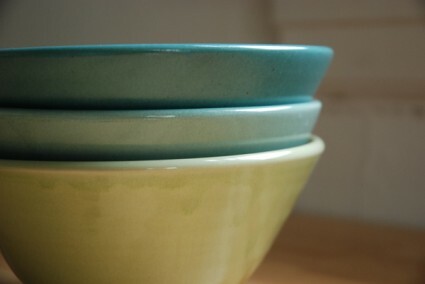 Give us a recipe that goes well with a Laura Cooke Ceramics dish. Top it off with avocado and goddess dressing and serve! Why Should You Care About the Food You Buy?